The drive back to Mikumi took only two hours as there was far less traffic than on the outward journey and Elwyin had got used to dodging the potholes. 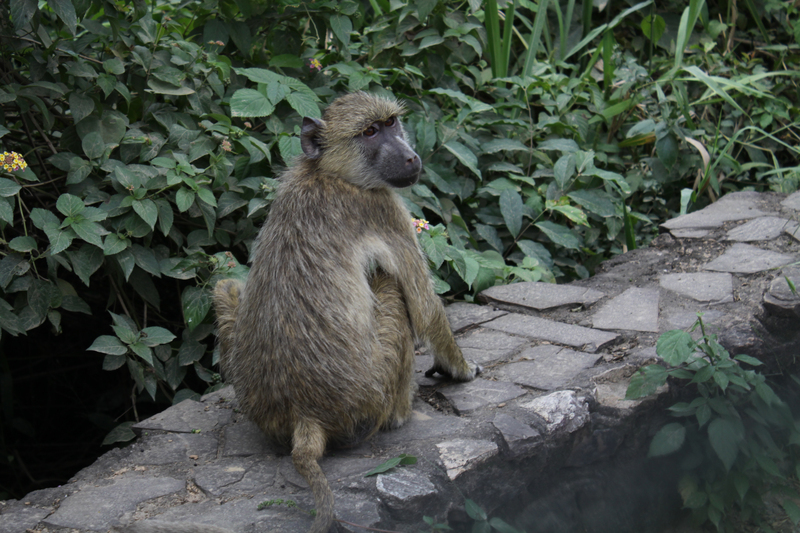 We fed the remaining sandwiches from yesterday’s lunch to the local baboons who were very appreciative. We checked into the Genesis Motel again and after a short rest went out for our first foray into Mikumi National Park. It is a grassland plateau surrounded by mountains and studded with trees. Impala and wildebeest abound and are often in much larger herds than we saw at Ruaha. We also spotted Cape Buffalo, water buck and troops of baboons. Maribou Storks were among the impalas, feeding on grasshoppers disturbed by their grazing in the long grass. There were crocodiles and hippos in the pool and groups of ground hornbills with their curious calls. 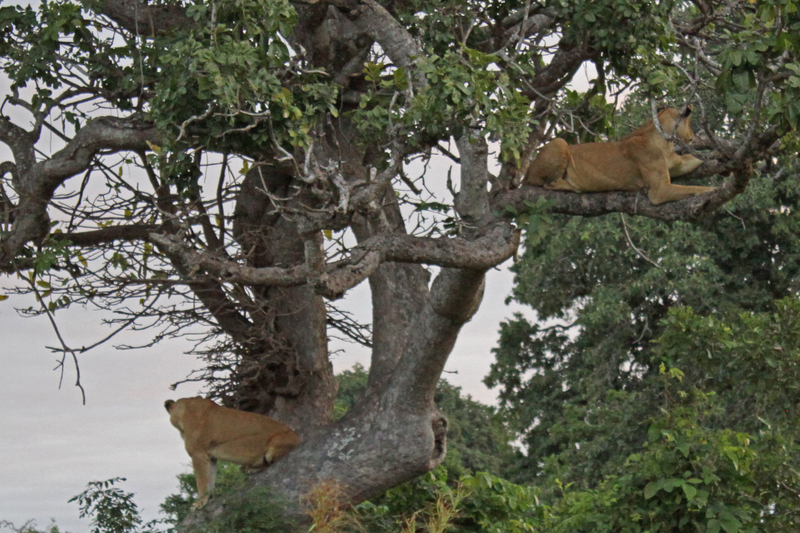 We had turned round and were heading towards the exit and leave the park when we suddenly spotted a pair of lionesses in a tree close to the park headquarters. They were alert and listening to the staff trying to dissuade an elephant from entering the area. They eventually had to fire a shot in the air. We took some photographs and then headed back to the hotel for dinner, hoping to see more lions the next day.